When running your catering business, you hope that eventually your business name will instantly give customers a positive image and identify you above others in the same trade and encourage potential new customers to come onboard. This is creating a corporate image, but how to start? Early on in your business life you will start to build a solid customer base. This will be for reliable service and taking care of your customers. Incorporate this with an all over brand identity for your business and it will be recognisable wherever it is represented. Start with a clear logo for your business, it can be a name or a symbol but make sure that when you are happy with this logo it is displayed in as many places as possible. Staff uniforms should have the logo as should all brochures, business cards and menus. 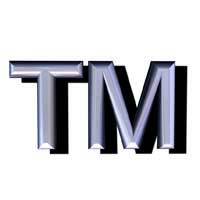 Incorporate this logo or symbol on your business vehicles advertisements and shop front if you have one. Think of any large high street company and instantly you will see their corporate identity. It could be the business name written in a certain style or perhaps the coloured symbols above a fast food restaurant. This is what you need for your business – a corporate identity that will be remembered. Apart from your company logo or symbol have a colour scheme that can be carried throughout the business. This can be achieved even if you are a one man band working from home. Business brochures, table ware even aprons for your waitresses could help carry the theme of your corporate identity which will in time become a form of advertising. Your brand identity must be taken care of and cherished. Any bad incidents associated with your company could give your brand identity a bad image. Sloppy service, bad press and your image is tarnished and can take time to more establish in a positive light. Many large companies have agencies that take care of their brand identity and carry it through television advertisements and other promotions to keep it in the public eye. Lawyers ensure that no other company uses this image or trades with the logo or image of their corporate identity. You, in your smaller business will have to either undertake the promotion of your brand identity yourself or have staff that can help with this important project. Simply by running a professional and reliable business is a good start. Having a corporate brand identity means creating a strong public image. Your market strategy should incorporate this image and carry it through every aspect of your business. Does your company have a brand image already? Ask regular customer and potential customers what they think of when your business name is mentioned. First impressions count for a lot and could win or lose you potential new business. Hopefully it is a positive image of a professional company that you portray but, if it is in any way a negative view you will have to work to change that image to a more positive corporate identity.